Season 2, "Better Call Saul" only 1 week away! Re: Season 2, "Better Call Saul" only 1 week away! Well, two episodes left in Season 3. Thoughts? I'm loving it. I do wonder how well I would enjoy the show had I not been a huge Breaking Bad fan. Could the show stand on its own? Good question. Probably, because it is so well done. Those of us who watched Breaking Bad enjoy it because of the back history of Jimmy/Saul, Mike, Gus, & Hector. As I mentioned before, I'm really curious what happens to Kim & Chuck. Neither were mentioned in Breaking Bad. I can't wait for the next season! Season 4 kicked off a couple weeks ago. Anyone else still anxiously waiting and finally enjoying? Games of Thrones is decent for a TV show but if you really want to enjoy it, read the books. I never could get in to House of Cards, but then Kevin Spacey annoys me. It took me a few episodes to get in to Breaking Bad, but it is really good. I tried BB but like Seinfeld ad Friends and other cultural bulwarks I just didn't get it. I had a long flight and they had 4 or 5 eps from season 2 and it was just a shoulder shrugger. Thus my lack of interest in BCS. But I do look in on these types of threads to see what the fascination is. Couldn't recall everyone here who had been following the show. But thanks for the response. Watch almost zero current TV series. Just a couple of really good ones. Saul/Jimmy was an important yet minor character in BB. The series is a prequel that shows how he transformed himself into slimy lawyer Saul Goodman. It is really intriguing. Especially for those who watched Breaking Bad. Yes, Mrs. Ausonius and I are big fans! The theme of how basically good people can make a series of somewhat bad choices - even with good intentions - and how those minor erroneous choices lead to making disastrously big ones, was the basis of Breaking Bad, and we see another version of it with the "Fake Jew" Saul Goodman i.e. James McGill (Bob Odenkirk) and also with Mike Ermentraut (Jonathan Banks). 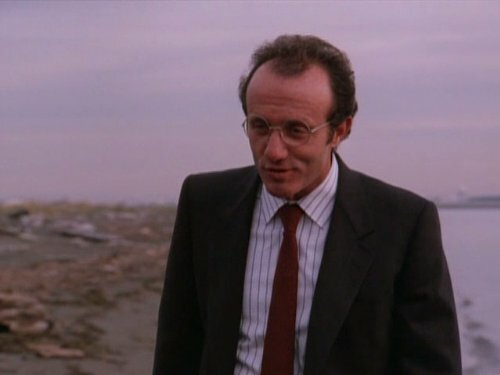 Do you remember Jonathan Banks from Wise Guy in the 1980's? Much thinner and less brutal looking back then! Did remember him from the movie "48 Hours". Almost unrecognizable from his character on BB & Better Call Saul. Anti-heros is kinda the Hollywood buzzword. Never would have thought a comedic actor Odenkirk could do drama so wonderfully.